A recent story on the problem of counterfeit make-up is just the latest example of an industry plagued by fake products and lost sales to illicit trade. Cosmetics are an interesting problem, because many of the products have relatively small size relative to their value. The real estate with which to carry serialization or overt authentication features such as holograms is very limited, and the product image and look is extremely important to marketing and brand differentiation. While the outsourcing of production to low cost places like China has created economic benefits, they are to some degree offset by that same manufacturing capability being used to create large amounts of counterfeit goods of seemingly high quality. But even the smallest of cosmetic products like nail polish and lipstick require some information to be carried for the consumer. There are a number of solutions to help with the easy identification of counterfeit and authentic product carried through printing technologies. These approaches, from overt color shifting ink to covert markers read by simple devices, all enable the stakeholders in the supply chain an opportunity to authenticate goods easily and cost effectively. 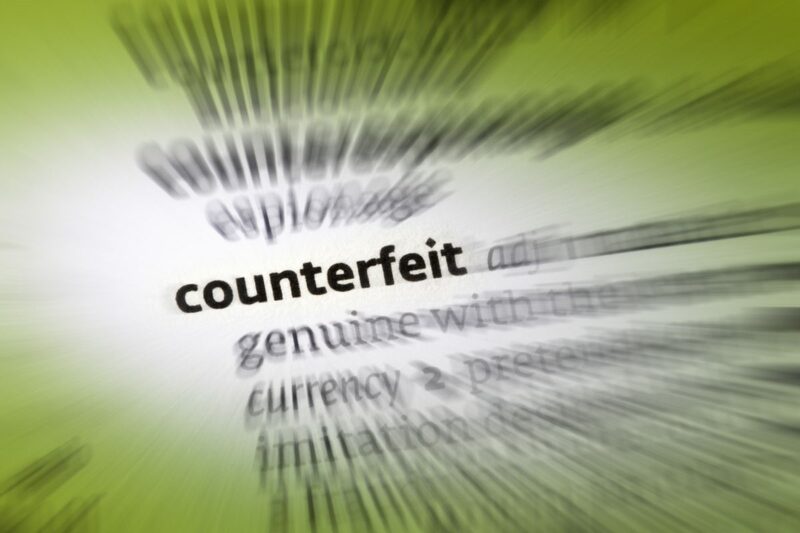 When supported by stakeholder education and product surveillance, these features are effective deterrents to counterfeiters who fear their illicit product may be identified and not be accepted into the supply chain. The different types of features all serve a different purpose, from enabling consumers to quickly identify a branded product as genuine, to covert markings that enable a manufacturer to identify the source of diversion or other illicit activity. When combined with the careful design and production quality controls used in authentic product manufacturing, these features raise the bar of complexity for counterfeiters and make the product a less attractive target. Solutions exist today to solve counterfeiting in the beauty and skincare market. It is just a matter of matching the cost of the solution with the value of the product. In our twenty years protecting brands we most often see hybrid and multi-layered solutions. In the case of a $5 tube of lipstick a simple overt solution for less than a cent per unit may be appropriate while in the case of a designer skin care product a more robust solution is appropriate that can be designed to enhance the brand image as well as brand protection. What is important is that they both be incorporated as a part of an overall brand protection program that includes monitoring and sampling retailers.